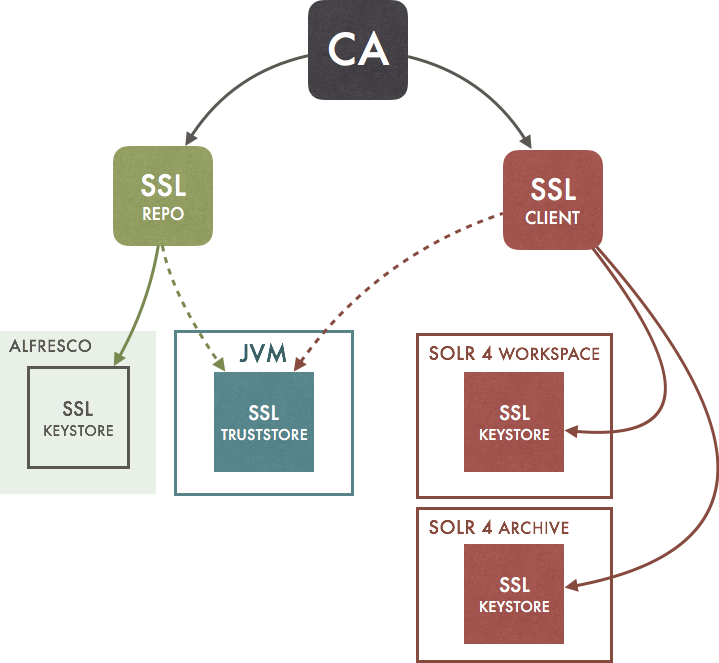 How to Alfresco SSL Certificates Configuring? 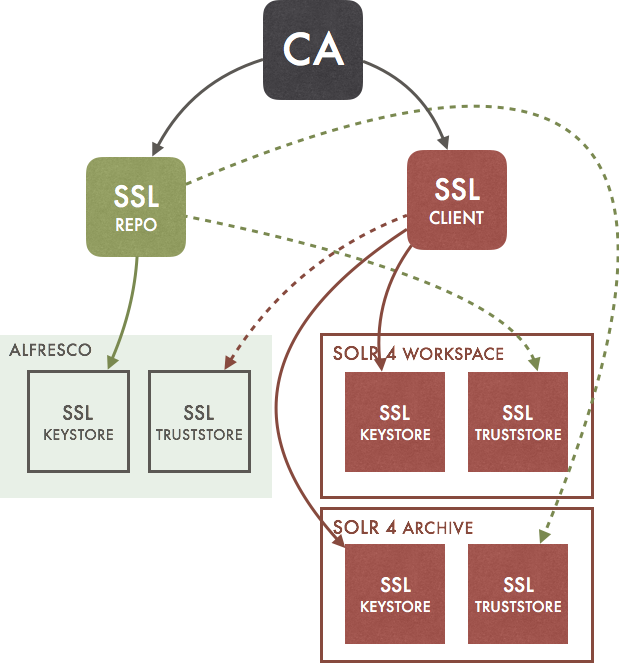 Alfresco is configured by default to use HTTPs in port 8443 to serve SOLR indexing requests. In order to identify this request, authentication is wanted for this SSL communication.